Anyese shares her own story with women in her community and keeps an eye out for signs of TB. So far, she has personally escorted five people with symptoms to the health facility for testing. Photo by Martha Narika for IntraHealth International. At 34, Anyese thought her life was over. She was suffering from a continuous cough that had lasted for more than a month, and she was worried she might have tuberculosis (TB). 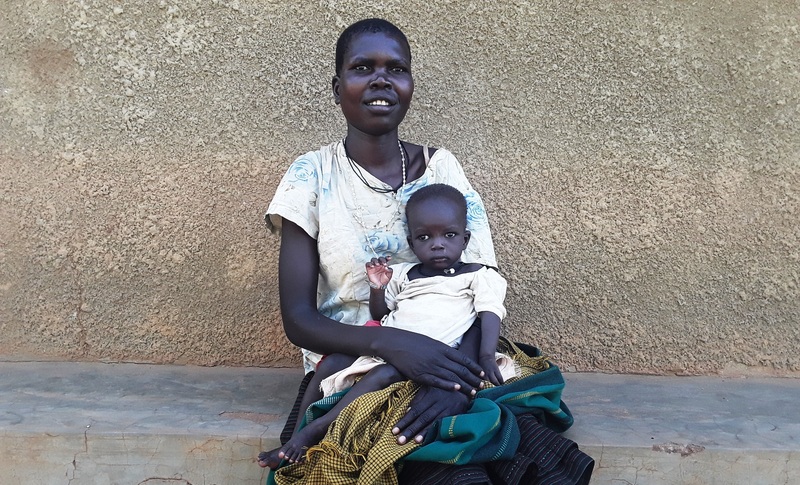 Anyese’s home is in Lorikokwa village in Moroto District, Uganda, one of many villages in the remote region of Karamoja. The region lags behind the rest of the nation in health service coverage, health-seeking behaviors, and other human development measures. The burden of TB in Karamoja is high relative to other parts of the country. Some districts in the region—such as Kotido, Moroto, and Napak—are reporting staggering numbers of cases (266, 366, and 429 per 100,000 population respectively compared to the national incidence estimate of 202 cases per 100,000). And these numbers don’t reflect unreported cases. These issues hamper health workers’ efforts to control the disease and contribute to preventable illness and death. This is why the IntraHealth International-led USAID Regional Health Integration to Enhance Services in Eastern Uganda (RHITES-E) Activity is helping the government of Uganda provide more high-quality health services in Karamoja by strengthening the health systems and improving the quality of, access to, and demand for health services. Together we are focusing particularly on equity and reaching underserved populations, like the community Anyese lives in. In fact, Anyese was diagnosed with a dangerous form of the infection known as multi-drug resistant TB. This means the bacteria that caused her infection don’t respond to multiple first-line anti-TB drugs, which makes treatment more difficult. So Anyese initiated treatment. Upon returning home, where she lives with her four children (ages 9, 7, 4, and 9 months), her husband got wind of her diagnosis—and abandoned them. Anyese was pregnant at the time. USAID RHITES-E is using social behavior approaches, such as community-led dialogues, to reach people within their own communities with key messages on TB prevention and management. The activity is also involving local champions to engage communities and improve knowledge, practice, and attitudes about TB management. What kept me positive were the words of the health workers that TB is curable. So far, USAID RHITES-E has conducted 43 community-led dialogues across the three sub-counties of Tapac, Rupa, and Nadunget (Moroto district), reaching 791 people (including 315 men and 476 women) in 12 villages. During the dialogues, community members get detailed and correct information on TB and referrals to the health facility for further management and follow-up. The dialogue team distributes pictorial materials that clients can use as reference. People who attend say they feel empowered by learning their rights as health care clients and now know they can always request a service when needed. Anyese says that attending three of these community-led dialogues with RHITES-E has turned her life around, and the lives of others like her in the community. She has regained her confidence and health. And now she is a champion who helps other people fight for their health, too. Anyese keeps an eye out for signs of TB in her community. So far, she has personally escorted five people with symptoms to the health facility for testing. She says she’s determined to do more. My relationship with health workers also has improved. I used to hide each time I saw them because I was guilty of defaulting on treatment. Now, I know all the dangers and I vow not to default. RHITES-E believes in a holistic approach to community involvement. The health assistant at the facility where Anyese gets her treatment encourages follow-up with partners of TB clients so they can be part of the treatment and management effort. This has ensured that all household members are included in the TB management package. Anyese’s husband got in touch with her after receiving counseling from the health assistant. He was tested along with his new household members. “I attribute this all to USAID RHITES-E and health workers,” she says. “And my relationship with health workers also has improved. I used to hide each time I saw them because I was guilty of defaulting on treatment. Now, I know all the dangers and I vow not to default." Anyese's story and photo shared with permission.